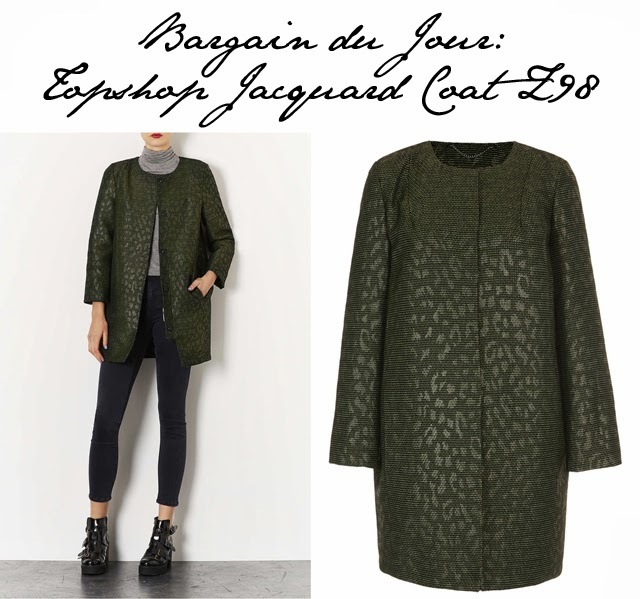 Is anyone else feeling like we are spoiled for choice this season with some fabulous coats? From M&S to River Island, the high street has dozens of options for keeping warm while looking the picture of perfection. We're keeping an eye on the latest as they come out and delivering them straight to you as soon as they're discovered. The latest is from Topshop. From shape to texture, this is the perfect coat for the season. For only £98, the price per wear on this baby comes down to pennies. Buy, buy, buy.